﻿ Day 9: MCN Great Christmas giveaway! 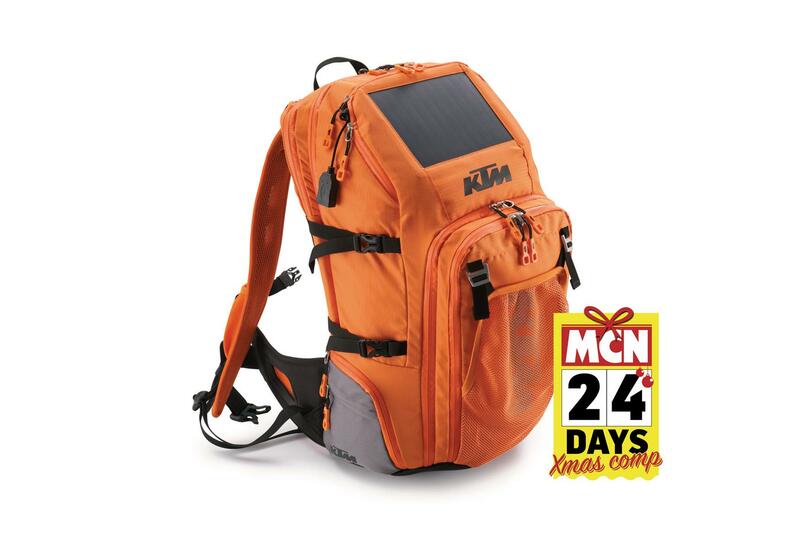 It's day nine and today's fantastic prize is a solar powered rucksack by KTM, ideal for keeping mobiles and GPS charged whilst on the move! Keep checking back till Christmas Eve to see what our daily giveaway is and don't forget to like us on Facebook and follow us on Twitter. PLEASE NOTE: all winners will be notified during January.